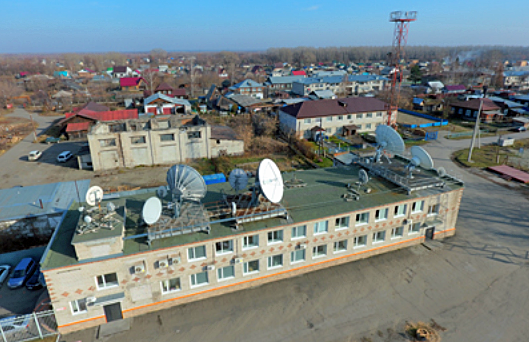 VT iDirect, Inc. (iDirect), a company of Vision Technologies Systems, Inc. (VT Systems), has announced that AMTEL-SVYAZ Company will launch the first iDirect DVB-S2X network in Russia, using the company's iQ Series of remotes. The network is expected to operate on as many as five geostationary satellites, providing coverage over the Russian Federation and parts of the adjacent seas and oceans, delivering cost-effective connectivity throughout the Russia region. AMTEL-SVYAZ will leverage their iDirect network to offer high-speed connectivity to a wide range of enterprise markets, such as Energy, Banking, Oil and Gas, and Maritime. This launch also enables the company to expand their territory and allows flexible pricing for their customers. The DOZOR-TELEPORT, which is included in the group of Russian telecom companies AMTEL-SVYAZ. iDirect’s next-generation DVB-S2X technology delivers revolutionary gains in performance and efficiencies, and will enable AMTEL-SVYAZ to scale their network efficiently and cost effectively. The iQ Desktop remotes are designed to meet the needs of networks within a wide range of performance scenarios and software licensing features, all based on a future-proof software-upgradeable design. Igor Ilinchik, CEO of DOZOR-TELEPORT, which is included in the group of telecom companies AMTEL-SVYAZ, said that his firm noted major opportunity for growth throughout Russia and decided that iDirect’s DVB-S2X technology would provde the greatest opportunity to deliver a reliable, high-speed, cost-effective service. The selection of iDirect, according Ilinchik, was for their versatility, support, and the highly acclaimed performance of the iQ remote. David Harrower, Senior Vice President of Global Sales at VT iDirect, added that Russia is a strategic market for iDirect and DVB-S2X delivers a major improvement in network performance and cost competitiveness and the company is pleased to help AMTEL-SVYAZ become first-in-market with a DVB-S2X service over the iDirect platform in Russia.